Sunset Marina is Lake Chelan’s premier marina community boasting 168 slips designed to accommodate water craft, recreational ski, sail, pontoon and house boats and leisure cabin cruisers up to 40+feet. The marina allows for year-round flotation, even during periods of lower lake levels. Slip sizes range from 24-feet to 40+feet. The property offers members a unique marina community lifestyle exclusively suited for today’s boating enthusiasts. Located on the south shore of Lake Chelan next to the historic Lady of the Lake ferry service about a mile from Chelan, Wash., the marina is clearly visible from the main highway leading into town. 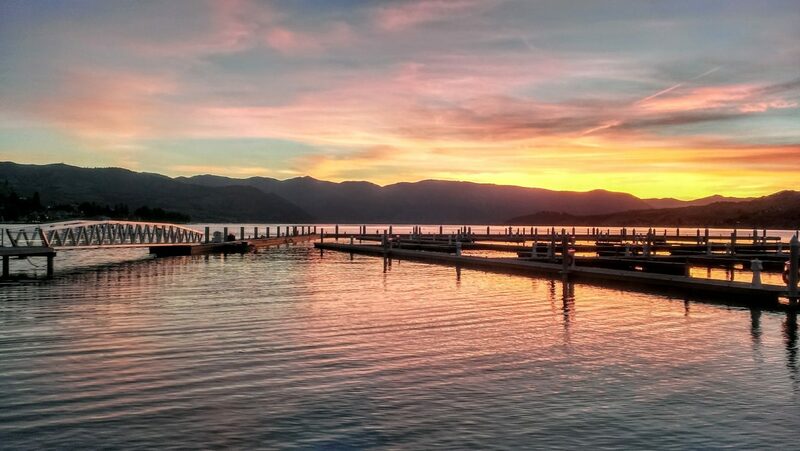 The name was chosen to denote the marina’s ideal location for viewing unparalleled scenery and the most exquisite sunsets east of the Cascade Mountains. Sunset Marina encompasses a wide range of recreational amenities designed to enhance our members’ boating experience and facilitate an ideal outdoor marina lifestyle. Slips easily moor large pontoon and sail boats along with larger cabin cruisers. Slips are also available for smaller waterski, wakeboard and other recreation boats. The marina itself was built using the latest marine technology and sustainable solutions and will be fully equipped to accommodate those whose boat is their “home away from home”. Members can enjoy more than just boating at Sunset Marina. The property has its own private launching ramp for kayaks and stand up paddle boards (SUP’s) and a spacious landscaped common area with barbeque pits, shaded seating and plenty of room for members to engage in lawn games or socialize, relax and enjoy the picturesque views of the lake and surrounding mountain peaks. A dedicated pet area is planned for those who travel with their four-legged furry friends. The two-story clubhouse will include a spacious lounge and recreation room equipped with a kitchen unit where members can “kick-back” with a beverage and watch the large, built-in flat screen TV or spend some leisure time in the game room. Large windows and sliding glass doors will open up to the panoramic views of the lake’s north shore. The inviting outdoor patio will include shaded picnic tables and benches and a built-in barbeque. A bar and lounge will offer front row seats to Lake Chelan’s unprecedented views up lake and spectacular sunsets. The clubhouse will also have restrooms, showers and laundry facilities for marina club members and their guests. Lake Chelan is a boater’s paradise and one of the most desirable outdoor getaways in the northwest. This popular 55-mile glacier lake, located in central Washington, attracts more than 2 million tourists and vacationers each year who come to revel in the 300 plus days of sunshine and cruise the blue, pristine waters tucked into the majestic Cascade Mountains. Over the past decade, Lake Chelan has seen an increase in the number of sailboats, pontoon and large cabin cruiser style boats on the lake. There also has been a significant increase in the number of boaters seeking out year-round moorage. 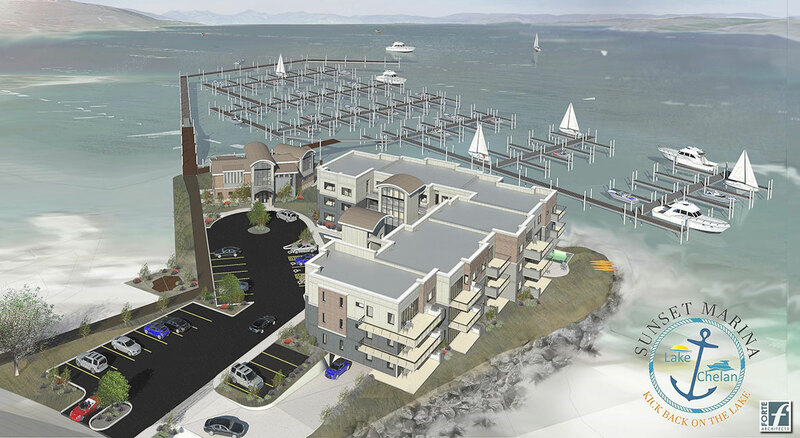 By 2005, a team of business leaders with expertise in large scale development and marina construction saw an opportunity to provide additional year-round moorage availability beyond the dozen or so public and private boat marinas currently located on the lake. 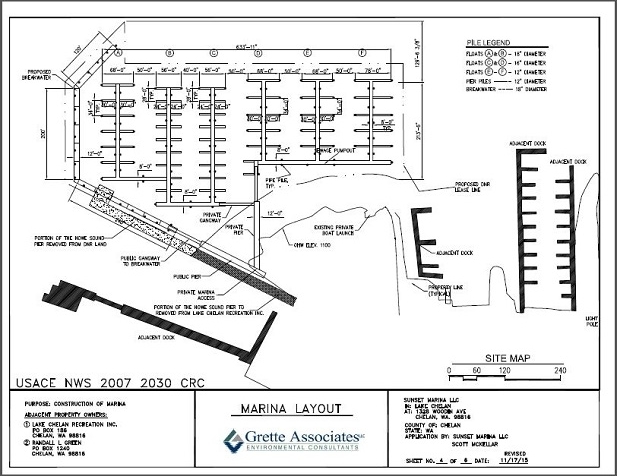 After ten years of research and permitting, the concept for a new marina emerged and Sunset Marina, LLC., was formed. Sunset Marina LLC., believes development and the conservation of natural resources can coexist. We are committed to continuing our collaborative efforts with the community and government partners to mitigate any potentially adverse impacts on cultural and natural resources while constructing Sunset Marina. We’ve taken that philosophy one step further by incorporating the mitigation and removal of the Howe Sound Pier into the Phase 1 construction plan. Using today’s marine construction technology, we installed a new eco-friendly floating breakwater that will allow for public access. We recognize the importance of supporting our community by protecting Lake Chelan’s aquatic life and surrounding natural treasures while enhancing our public amenities.